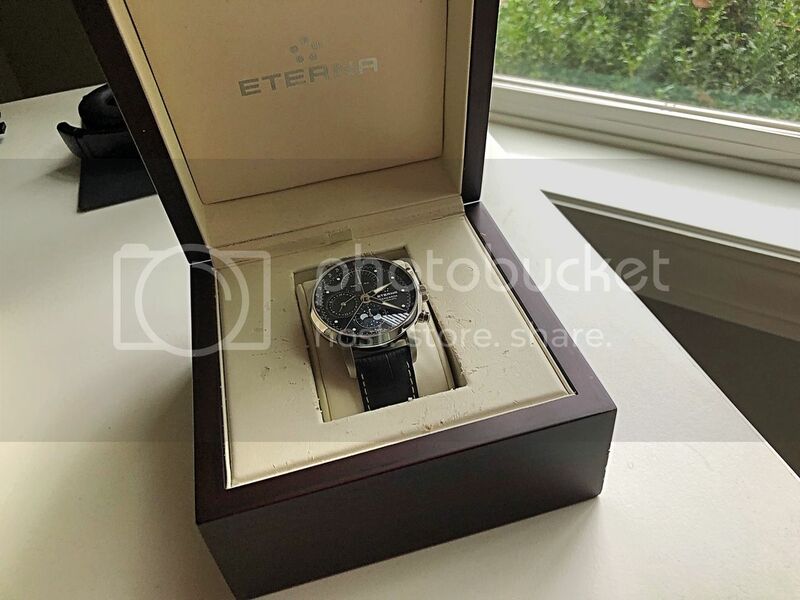 Offered for sale is this original, LNIB Eterna Tangaroa Moonphase Chronograph with all boxes and papers included. 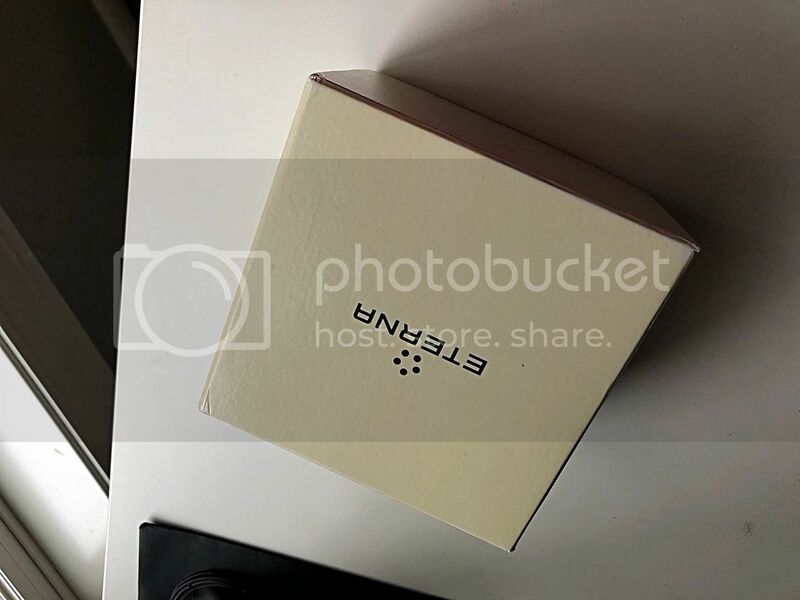 Stainless steel case is in excellent condition and sized at 42mm x 13.9mm. Sapphire crystal with transparent caseback. 50m water resistance. 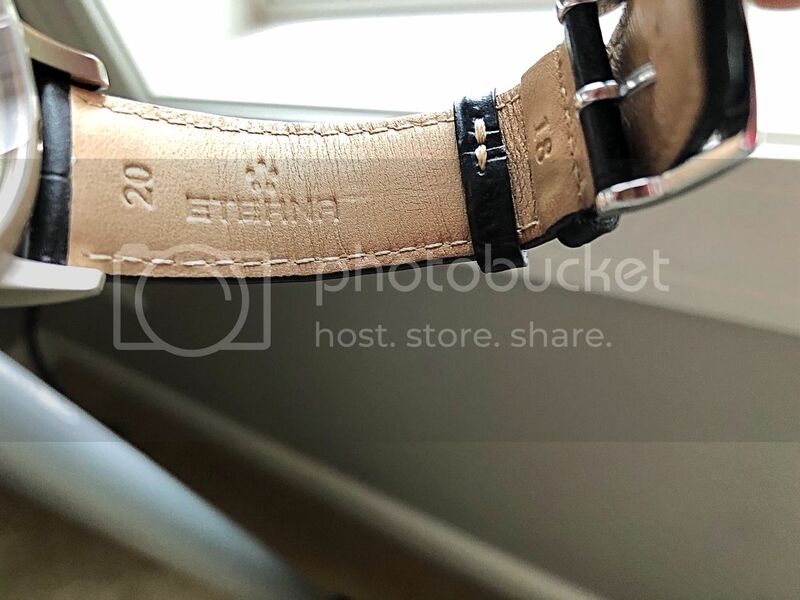 Original 20mm black leather strap and SS tang clasp both signed Eterna. Black dial with luminous silver toned hands and dotted hour markers is perfect. Valjoux 7751 automatic movement with ~46 hours of power reserve winds, sets, and runs perfectly and keeps time accurately. Priced at $925 shipped within the USA by carrier of your choice. International shipping is also possible. NAWCC Member #0168603. Many references available. You can email me at: dotman (at) gmail.com with any questions. 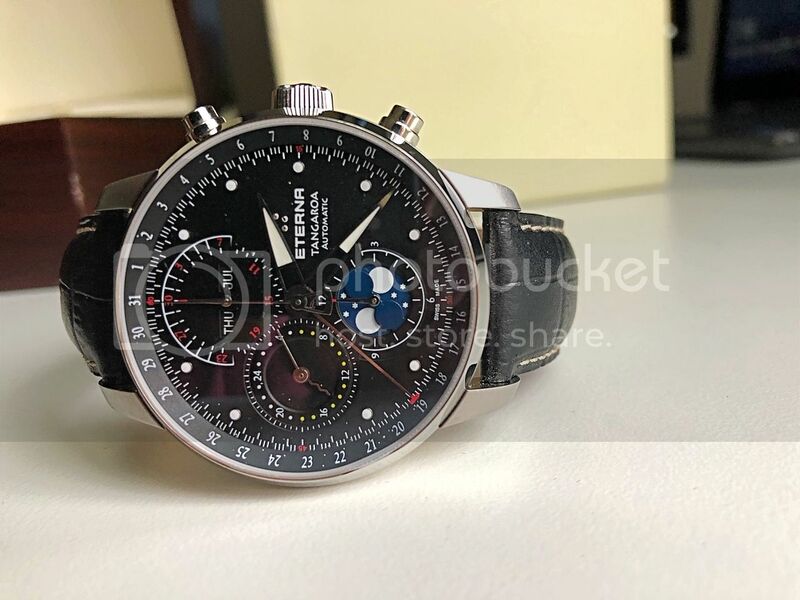 PLEASE NOTE: All pictures of the watch are taken with high res & high magnification on a competent camera for the purposes of showing as much of the 'actual' watch as I can technically achieve. There are no corrective filters that I use. I do not polish or hide any angles or blemishes. 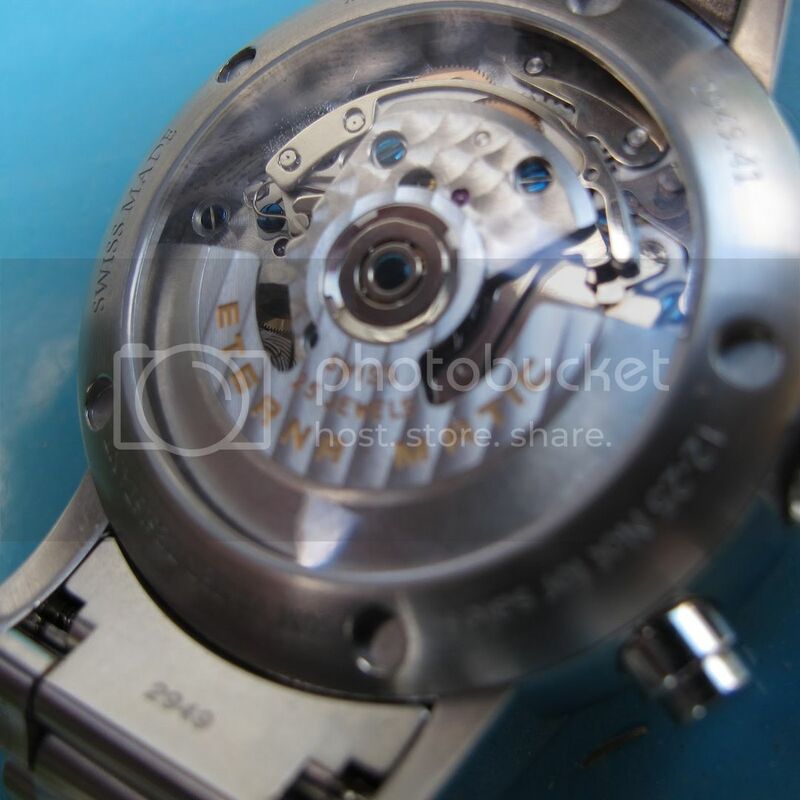 Oftentimes the watches I list look in poorer condition than they actually are because of these details. If you're unsure on condition, just ask and I'm happy to answer specific questions more specifically. 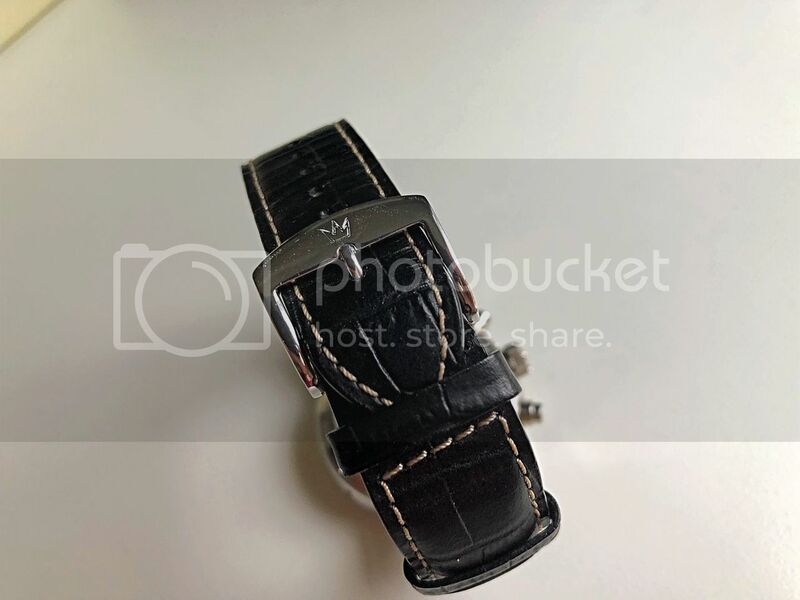 Previous Topic: FS: Cheergiant custom straps Svw391~Svw399 include AP ROO, B&R BR126,BR-02,Bund style custom straps.